If you love the flavor of Italian White Truffles and you want to use it often in your food, this delicious Extra Virgin Olive Oil infused with a slice of real Italian White Truffles makes for an exquisite seasoning. Use it as a flavorful enhancement for steak, pasta, fried eggs, risotto, saute vegetables, mushrooms and of course...cheese. A few drops of oil will add just the right amount of complexity and sophistication to your dishes. 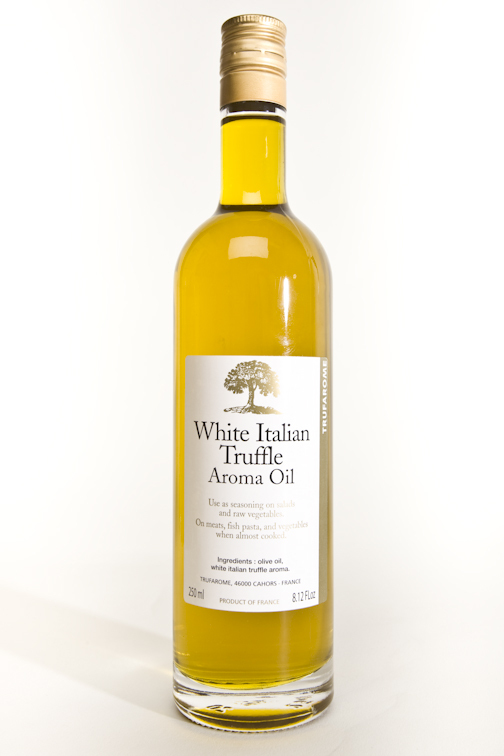 Truffle oils are generally not used for cooking, but are usually drizzled over recipes just before serving. If most people go crazy with the smell of white truffles, some do not like it and it is recommended to let guests decide if they want to add truffle oil to salads, soups, meats, stews or sautes. Preferred by professional chefs. Imported from France. Made with infusion of real Italian White Truffles.